Let’s face it: For most people, becoming a homeowner isn’t possible without a loan. The catch is that you pay back that loan plus interest—and those measly few percentage points can really add up. Let's say you borrow $400,000 over 30 years with an interest rate of 5%. By the time your loan matures, you'll have paid a total of $373,023 in interest—nearly the same amount as what you're borrowing! For instance, say you bought a 30-year, fixed-rate, $400,000 loan at a rate of 5%, for which you'd pay $2,147 per month. Paying one point upfront would lower that rate by a 0.25 percentage point to 4.75%; paying two points would nudge that down to 4.5%. That would lower your monthly payment to $2,027. Which all sounds great, but keep in mind you have to pay for those points upfront—about $8,000 total. So, it makes sense to pay for points only if you live there long enough to recoup the costs with lower interest. In this example, you'd have to remain in your home for at least six years before you break even and start reaping the benefits. Certain circumstances can lower your interest rate as well as offer other money-saving perks. For example, VA loans are available to those who've served in the military, allowing them to buy homes with no down payment and often lower interest rates. First-time buyers also have access to lower interest rates and more through the Federal Housing Administration. Low-income residents could be eligible for low-interest HUD loans, and even if you aren't struggling financially don't assume you don't qualify—there are low-interest loan programs for doctors, teachers, and nurses. So when's the best time to lock it in? 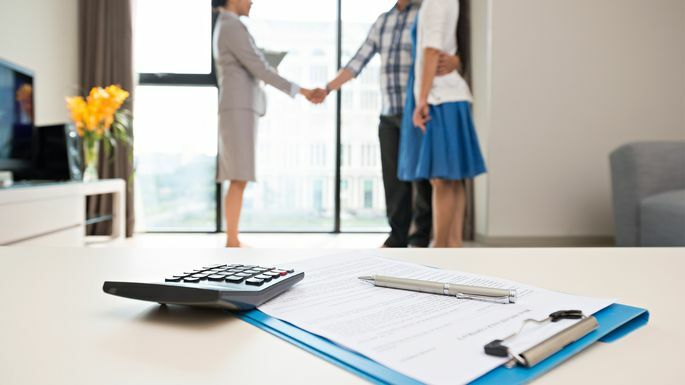 It depends on whether interest rates are trending up or down—so be sure to bend your lender's ear on that point—but also on where you are in the home-buying process. Lock in too soon, and it may expire before you actually close. Here's a safe rule of thumb: “In general, the best time to lock in a rate is after you've found the home you want to buy,” says Fleming. That should give you plenty of time to close on your home before your lock expires, leaving you vulnerable to creeping rates.